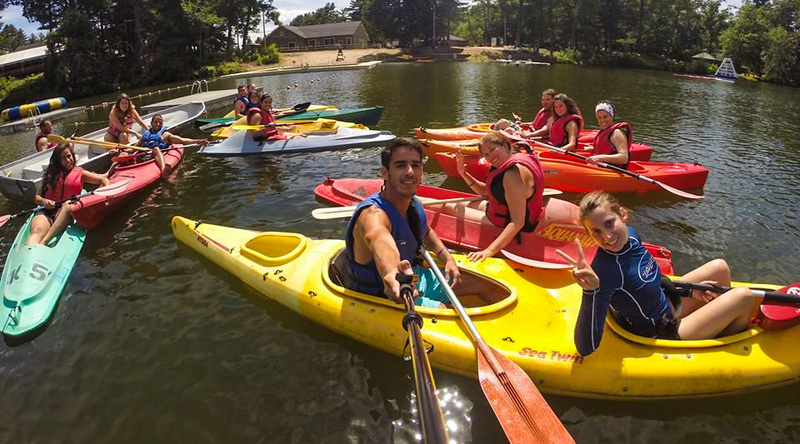 Camp Ramah has a wealth of chugim (specialty activities) that provide campers with an opportunity to develop skills and experience activities they’ve never before attempted. At Ramah, we are extraordinarily proud not only of the variety of activities offered but also of the high level of expertise of our instructors. Please note that we vary our chug choices from summer to summer. We begin each day with tefillah – morning prayer services. For younger campers, these are age-appropriate services where campers learn the service and practice leading it. For older campers, these services are entirely camper led – campers lead the tefillot, read Torah, have aliyot, and take on other leadership roles in the service. While teaching basic skills, our emphasis is on making tefillah a meaningful and spiritual experience. After breakfast, campers enjoy three to four hours of activities before a hot lunch. Lunch is followed by menuchah (rest time) and several more activities before dinner. Each day, two hours are devoted to Judaic and Ivrit (Hebrew) education (through fun activities, discussion groups, projects and games) and another hour to instructional swim. 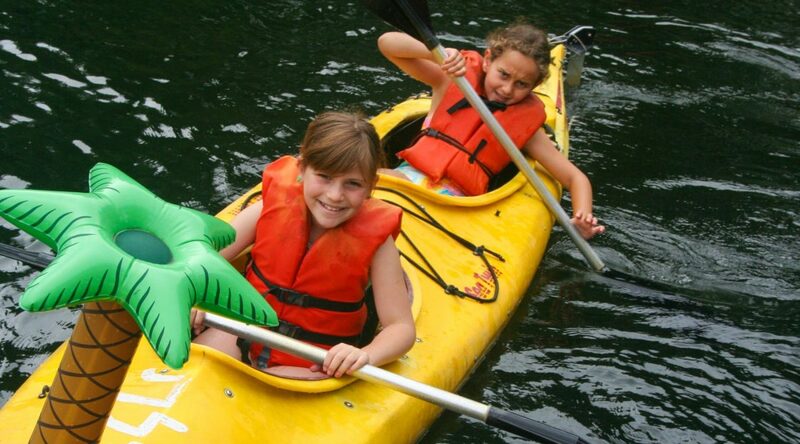 Campers have THREE activity periods each day that are spent according to camper’s choice. Campers sign-up for two-week rotations in the chugim of their choice (all the great activities listed at the top of this page, plus many more! More details are below…). 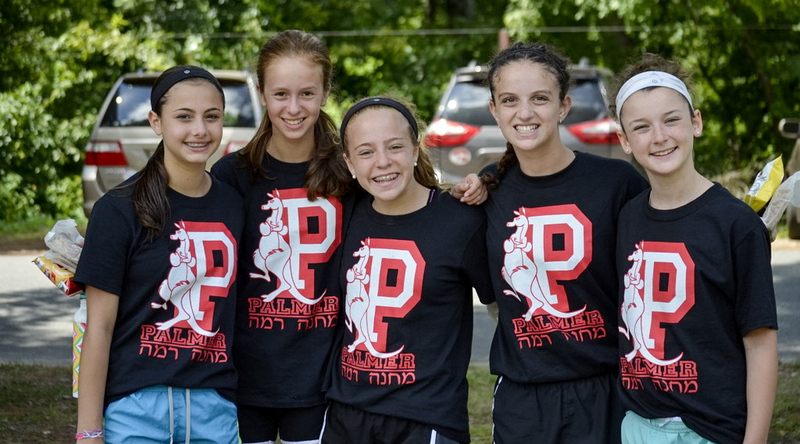 Ramah’s athletic program reflects its strong commitment to sports and the outdoors. Every day, our campers have multiple opportunities to choose sports like baseball, basketball, hockey, soccer, softball, tennis, volleyball, ultimate frisbee, as well as zumba, fitness, and more. Our devoted athletic/outdoors staff teach the campers skills, teamwork, sportsmanship, and a love of the game. Beginning in 2017, five of our daily sports chugim (elective activities) — Basketball, Flag Football, Soccer, Tennis, and Ultimate Frisbee — were run by professional sports coaches! These talented visiting coaches ran all the daily sessions of these five sports activities, for all ages at camp. These programs provided incredible opportunities for athletes looking to build advanced skills and technique, and also for hanichim (campers) looking to learn a new sport for the first time. Click here to read about our 2018 sports coaches! In addition to all of our competitive sports options, we also offer non-competitive athletic options such as zumba, krav maga (Israeli self-defense), and fitness. We also offer a “pre-season training” option to older campers who play on sports teams during the school year. 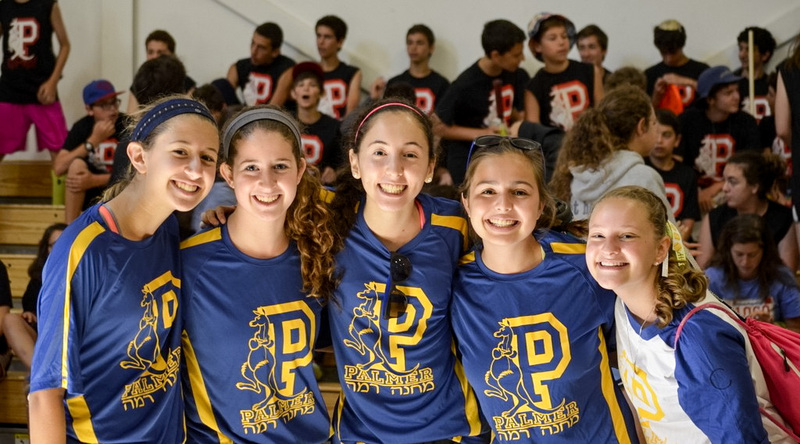 Ramah maintains two outdoor sports areas, one for the younger campers on Tzad Aleph (A-side) and one for older campers on Tzad Bet (B-side), each with its own playing fields, equipment, tennis courts, and basketball courts. In summer 2012 we opened a brand-new gymnasium and fitness center. We also have a large social hall/gymnasium where campers play basketball, volleyball and floor games during inclement weather. Many special sporting events are also held throughout the summer, including “Yom Roo” (named after our kangaroo mascot), a day of sport competition with Camp Ramah in the Berkshires. 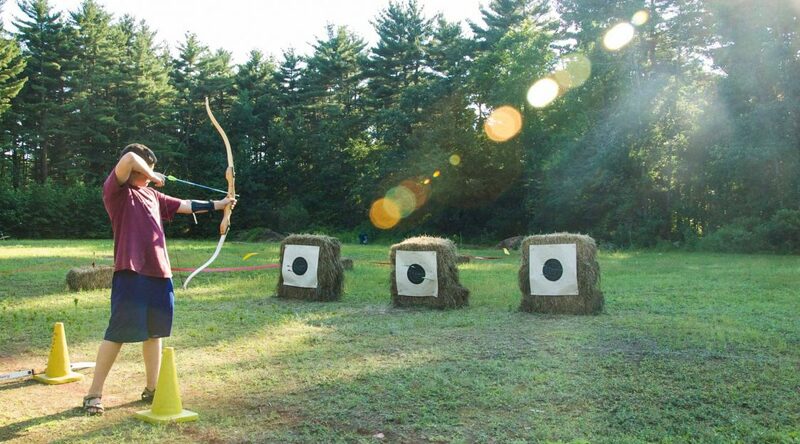 We have a complete archery range at Camp Ramah in New England, where campers can learn all the basics of archery. After a lengthy safety orientation, campers are fitted to properly-sized equipment and begin learning how to shoot. They learn the procedures of an archery range, and are challenged to hit targets from varying distances. With time and focus, many of our campers are able to become highly accurate! 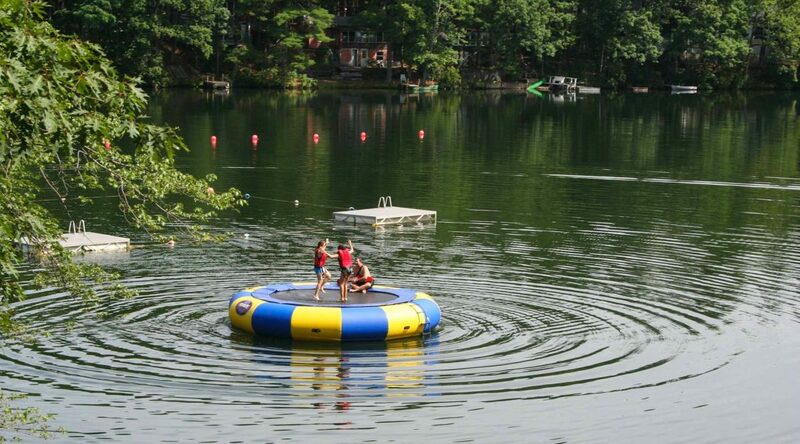 Camp Ramah in New England is home to an elaborate Outdoor Adventure Course, as well as a Climbing Tower. High above the ground, our campers are challenged to push themselves to their limits on our rigorous challenge courses. Campers can experience many different types of elements, both low and high. Campers learn teamwork and discipline as they work together to attempt to conquer the many difficult elements of our courses. 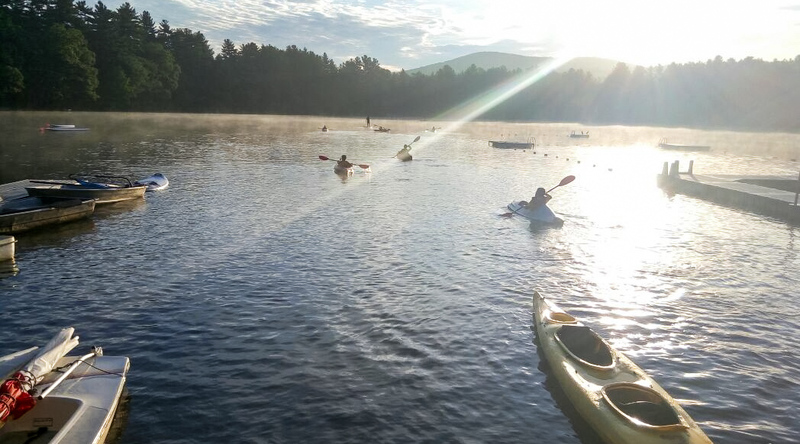 The camp wraps around a picturesque lake which has two sandy beach waterfronts, one for the younger campers and one for the older campers, along with a small fleet of canoes, kayaks, sailboats, paddleboats, and windsurfers. We have a floating water park that includes an obstacle course, water trampoline, a “Jungle Joe” (a floating climbing pyramid), and lots more! Our waterfront staff members are certified by the American Red Cross as lifeguards and water safety instructors. 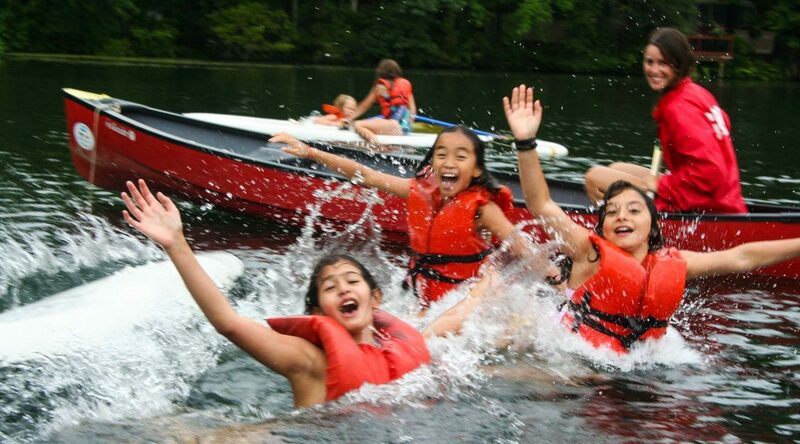 Campers have daily instructional swim and additional time for free swim and fun in the water. New campers who sign up for boating learn basic canoeing and sailing techniques, while campers with more knowledge and experience are able to work with our boating staff to learn more advanced skills. Campers learn how to shoot and digitally edit photos that they will be proud of. Campers learn the basics of photography, including composition, lighting, and framing, while also having an opportunity to learn about and utilize digital editing software that will allow them to adjust and enhance their photographs. The chug culminates with each camper producing a final project which will be displayed around camp, and every camper takes home a CD containing all of their work. Campers have the opportunity to produce mini-movies starring themselves and their friends! Campers learn how to handle and use a digital video camera. They come up with a story-line, write a script, and learn how to storyboard. Actors are assigned parts, and the kids learn about filming and frame composition. Campers then learn how to use our digital editing software, as they edit their raw footage into the final video, adding any special effects necessary. The final film is burned to DVD, a copy of which is given to each camper to take home. 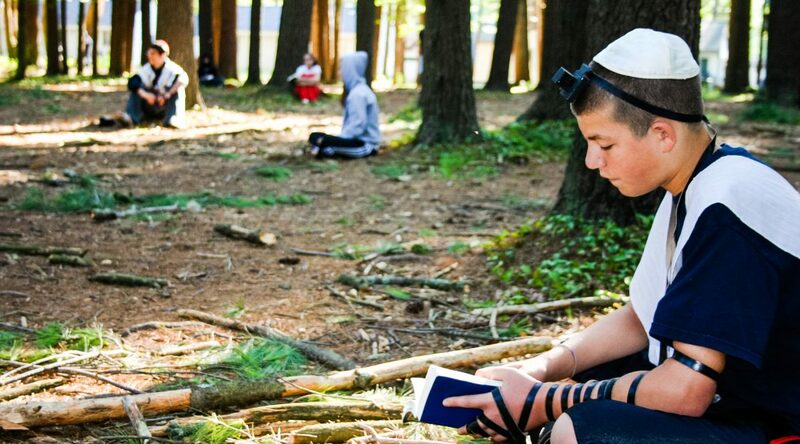 Campers in these chugim discover nature and Judaism’s connection to the environment. They farm organically and learn an array of delicious recipes they can cook over an open fire. The campers also work with our specialists in our continuing efforts to make camp more green. Campers explore cooking, with an emphasis on Jewish food and its history, and good nutrition. Campers learn how to make specific dishes as well as build the skills that will enable them to read and follow recipes. In the process, kids gain an appreciation for great food and learn that tasty, healthy food made from scratch is easy to prepare. Campers participating in drama learn various basic acting techniques — including blocking (how to stage a scene), how to project one’s voice, how to develop “stage presence,” and more. Campers participate in various improv-games, developing confidence in the unpredictability of acting on stage. On Tzad Aleph (A-Side, for our younger campers), every two weeks chug drama culminates in a large Tzad Aleph performance for the rest of the Tzad Aleph campers. On Tzad Bet (B-Side, for our older campers), every dah (division) puts together one large musical performance each summer. 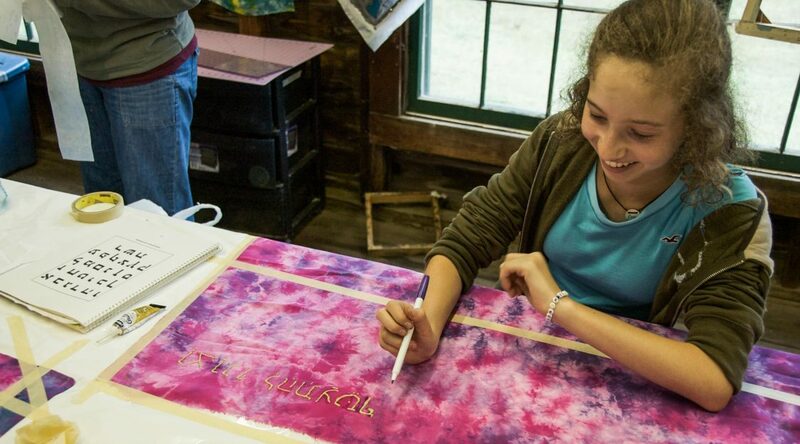 Campers work with our in-house artists to create elaborate and beautiful pieces of art. Campers are able to make objects that are useful (small tables and chairs, trays, pencil-holders, etc. ), fun (models of helicopters, animals, boats, etc. ), and purely artistic (wall-hangings, sculptures, purely abstract creations, etc.). Every participant in this chug completes one, if not more, finished projects to take home at the end of the summer. 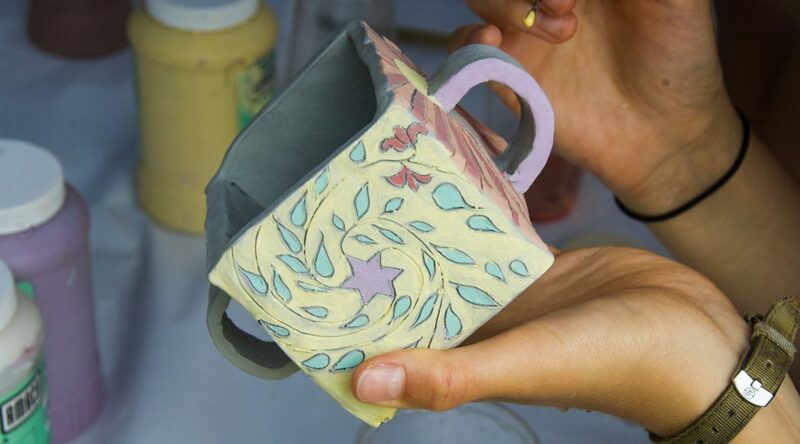 Pottery — Campers are able to work in our two pottery stations, either working on a pottery wheel, learning techniques of centering, trimming, pulling handles, and glazing; or working on the hand-building station, where they use a variety of techniques, primarily slab and coil. 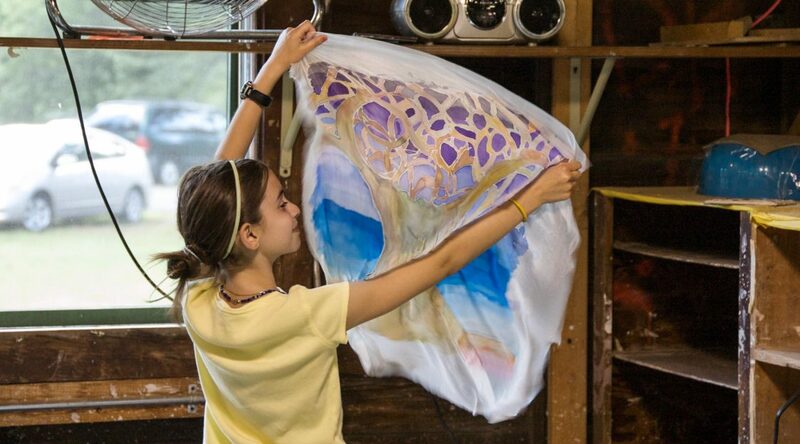 Silk-painting — Campers learn how to paint on silk with special paints and “resist” to create a wide variety of pieces, including pillows, wall art, tallitot, challah covers, and other Jewish objects. Campers also learn strategies of color blending and color theory. 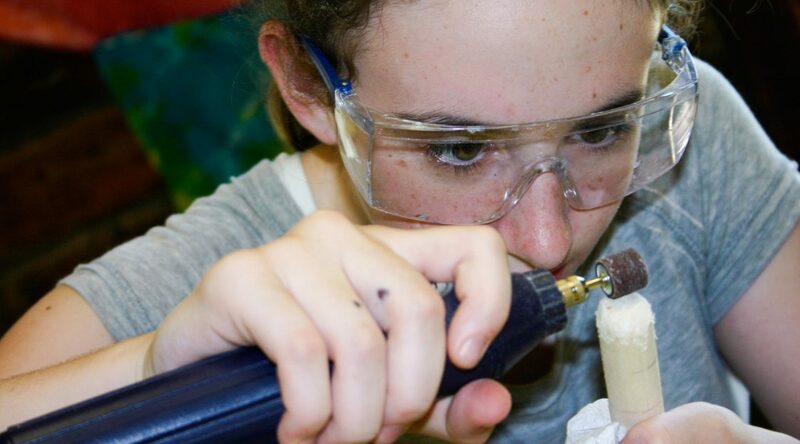 Jewelry-making — Campers learn how to work with various media to produce a wide variety of jewelry, including necklaces, earrings, and bracelets. Campers work with beads as well as a process with diachroic glass, which requires a kiln firing upon completion of the project. Origami — Campers learn the art of folding paper to create beautiful works of art. Drawing & painting — Campers learn how to use a variety of media, including pencils, charcoal, oil pastels, and paints. Subjects include workshops on the human figure as well as portraits or landscapes. Other projects such as cartooning/comics, paper-making, marbelizing, print-making, glass-work, drawing & painting, and lots more. Click here for a blog article detailing the 16 different omanut chugim offered during kayitz 2017!